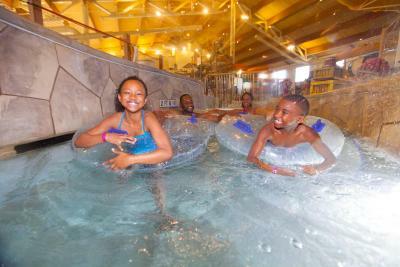 Lock in a great price for Great Wolf Lodge Grapevine – rated 8.3 by recent guests! The Magiquest adventure was the favorite. We also loved the movie theater. The family environment all the activities for kids service and staff were excellent! It was fun! 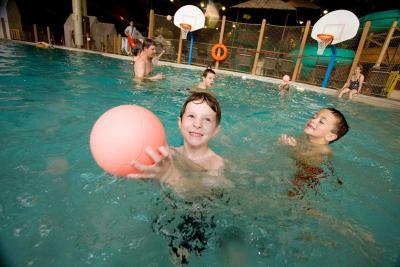 Lots of fun things to do for kids ages 4-10. We all Loved the outside ropes course. The magi quest was fun for the older girls. Little one loved his bracelet that opened up doors independently. 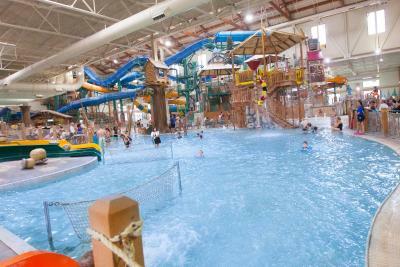 Staff was wonderful and super friendly!! Nice staff. Clean room. Was a little disappointed with the outside pool being closed the first day we were here but they opened it the next day. It really is a fun place. 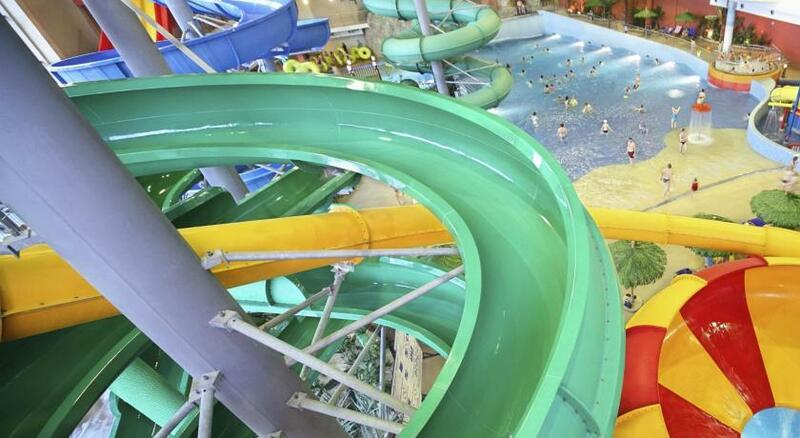 The waterpark was better than I expected. My boys moved everything about the stay. Bonus that there was a Starbucks on site. Long line at check in but I didn’t know about the online early check in. The room was very comfortable and the kids loved the den! Great concept! Large room liked handbags in bathroom. Shower was not working properly. 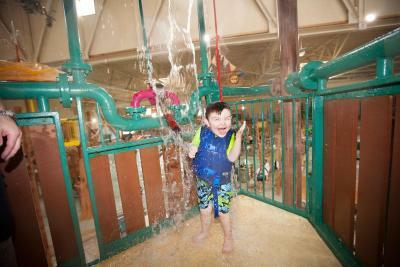 There is fun for all ages. From young to Senior Citizens. 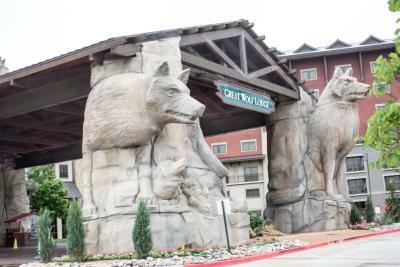 Great Wolf Lodge Grapevine This rating is a reflection of how the property compares to the industry standard when it comes to price, facilities and services available. It's based on a self-evaluation by the property. Use this rating to help choose your stay! 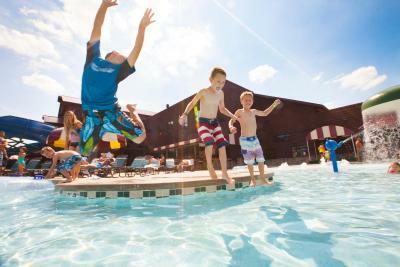 Featuring free WiFi and a seasonal outdoor pool, Great Wolf Lodge Grapevine offers accommodations in Grapevine. 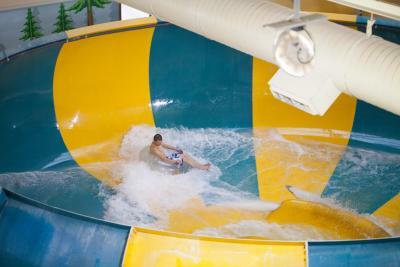 The resort has a spa center, a hot tub and an on-site restaurant. Every room at this resort is air conditioned and has a TV with cable channels. A microwave and refrigerator are also included. Some rooms feature a seating area to relax in after a busy day. You will find a coffee machine in the room. Every room includes a private bathroom. 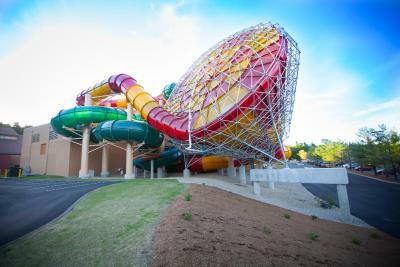 Legoland Discovery Center Dallas Fort Worth is 1.6 mi from Great Wolf Lodge Grapevine, while Great Wolf Lodge Dallas is 1,300 feet from the property. Dallas-Fort Worth International Airport is 3.7 mi away. 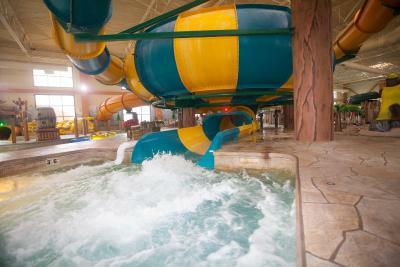 When would you like to stay at Great Wolf Lodge Grapevine? This air-conditioned room offers a tent-themed sleeping area with bunk beds and TV. 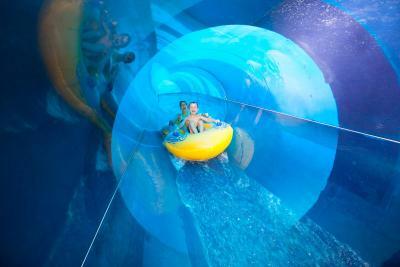 Known as the Kid Cabin, this air-conditioned room offers a cabin-themed sleeping area with bunk beds, a day bed and a TV. This air-conditioned room offers a cave-themed sleeping area with bunk beds and TV. 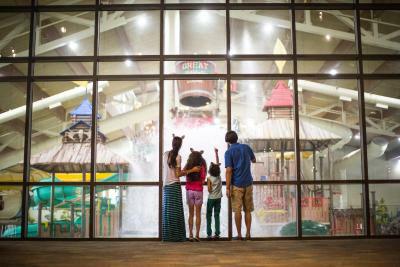 House Rules Great Wolf Lodge Grapevine takes special requests – add in the next step! 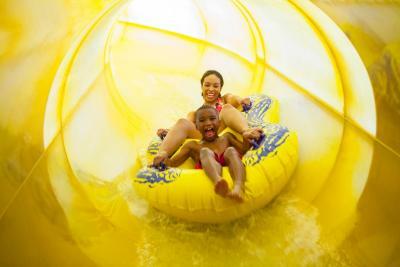 Great Wolf Lodge Grapevine accepts these cards and reserves the right to temporarily hold an amount prior to arrival. 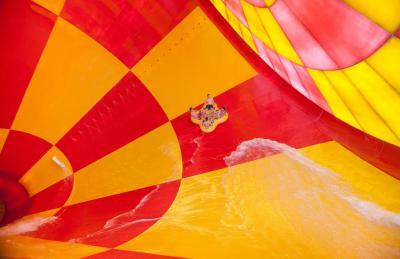 Guests gain access to the water park at 13:00 on the day of arrival. Check-in starts at 16:00. The bathroom in our room was not cleaned during the time we were there. We asked 3 times to have the room cleaned. We were told that it had been signed off as clean but I had taken pictures to prove it hadn’t. Then when it was cleaned the person was mad enough to toss our things around. There wasn't anything that we didn't love! For the price paid, rooms could be a little better maintained. Great for couples with younger kids. Wasn’t able to purchase water from vending machines. Only one tiny shampoo for family of 5 .. pullout bed was dirty and took an hour for new bedding. Pizza from downstairs was edible, but not good. We went out to eat rest of stay..was convenient though, if didn’t want to leave grounds. The food was very expensive and me and my family all got a touch of food poisoning eating at the breakfast buffet. 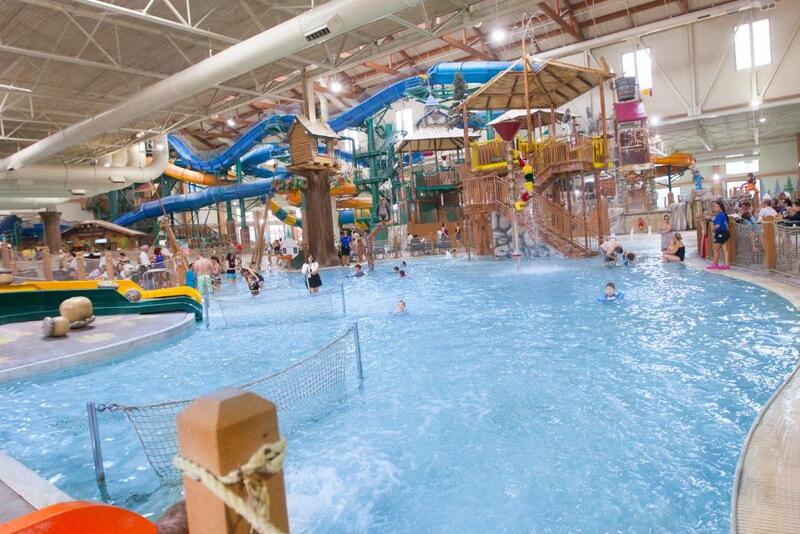 We did like the water park. There were no characters present, like it was stated. I do think this hotel/resort is very overpriced and the resort fee seems very unnecessary. The food is awful. The entertainment for the kids at night was too difficult to hear and the teens leading afterwards were not well trained for kids. Also the watermark was so cold that we stayed most of the time in the hot tub.